If there’s one thing in life that never lets you down, it’s pizza. Whether you’re a meat hater, cheese lover or veggie-only kinda human, it’s guaranteed to put a smile on your dial and a whole lotta happiness in your belly. That’s exactly why I jumped at the chance to seat myself, and my hunger, down at Napoli Nel Cuore for a carb-filled jolly feast. 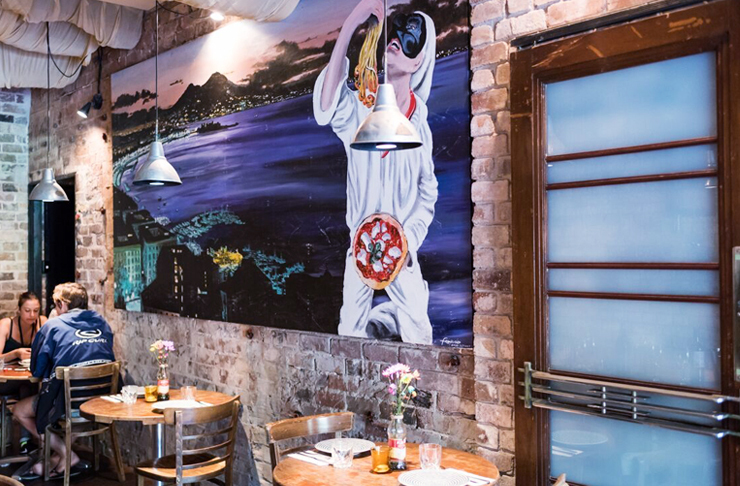 After continuously topping Sydney’s best pizza list at their Redfern base, Napoli Nel Cuore opened up shop on Oxford Street in Darlinghurst late last year. The teeny restaurant has a rustic, homely feel, and with a wood-fire pizza oven tucked out back, the smell alone had me drooling. The Italian staff welcomed me like an old friend and as soon as I was seated, I immediately wished I had worn my stretchy pants. I studied the menu like I would have done Dolly magazine circa year 7 and opted for the most obvious choice—the Napoli Nel Cuore pizza. Complete with mozzarella, sausages and friarielli vegetables, the dough melts in your mouth and they sure as hell don’t hold back on the provola cheese. The toppings are fresh and the proportions are as close to perfection as you can get, so not knowing where to stop, I ordered the Margherita (which needs no explanation), Piccantina (aka hot salami with mozzarella on a tomato base) and Bianco (all cheese everything), which were all just as good (if not better). Hot tip: served extra hot, make sure order at least two (yes, even if you’re dining alone) and forget about #cleaneating. If you’re after something other than pizza (but why? ), go all out and get the calzone fritto. The deep-fried folded pizza is full to the brim with mozzarella, ricotta, salami and pepper, and worth the extra 10km I had to run to burn it off. If you really don’t want pizza (but seriously, why? 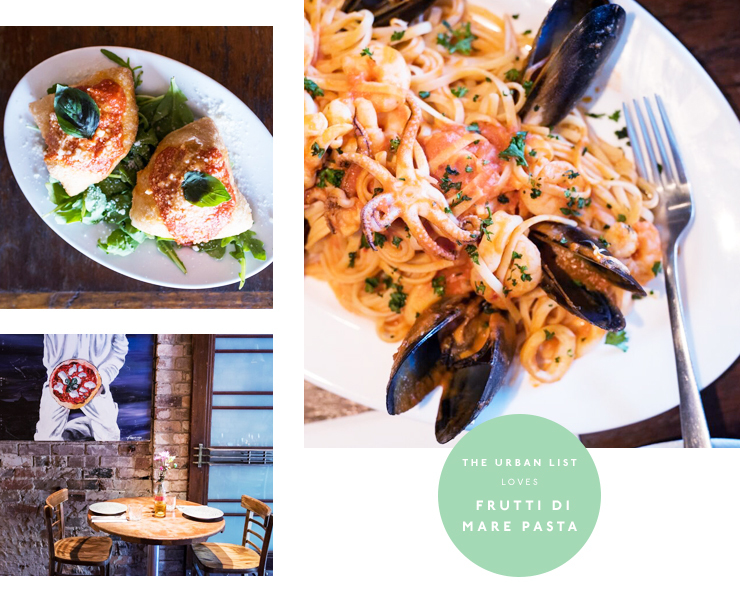 ), get your laughing gear around the frutti di mare pasta. Jam-packed with mussels, calamari, prawns, and all of the flavour, you’ll drool over every last bite—but just know you’re missing out on pure pizza heaven. On the topic of pizza, here is our list of Sydney's best.